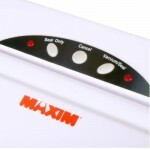 The Maxim Vacuum Food Sealer is a fantastic way to store a wide variety of cooked or fresh foods. Maintain the freshness of your perishable foods for up to five times longer than ordinary storage techniques. 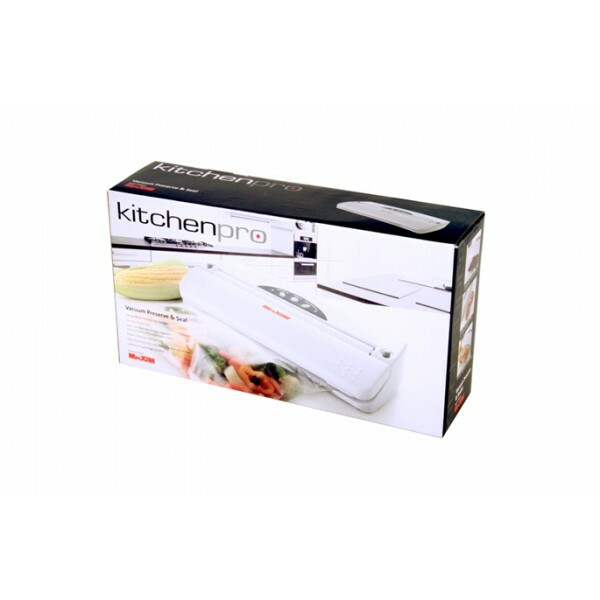 The vacuum sealer works by extracting oxygen, which is one of the main elements causing foods to contaminate or lose its nutritional value, from the plastic storage bag. By creating an air tight seal, your food will stay preserved for longer allowing you to enjoy it months later. Food can even be stored in the freezer for many months without freezer burn. With the Maxim Vacuum Food Sealer you can prepare meals over the weekend, then store them either in the refrigerator or freezer, and re-heat them during the week. Buy food in bulk to save money, knowing that your food will remain as fresh as the day you bought it. In the freezer, store expensive meats or seafood for up to one year. In the refrigerator, store pre-marinated meats or cooked meals for up to two weeks. In the pantry, store your favourite savoury foods such as crisps, nuts or home made cookeis for up to 6 weeks. 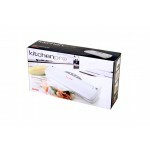 Preserve cooked food, fresh vegetables retaining their nutrients and freshness, before freezing. Keep dried fruits and nuts fresh in vacuum sealer bags. 3 Metres of spare bags included. 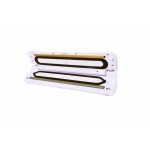 Air Channels, removes all the excess air from the vacuum seal bags. 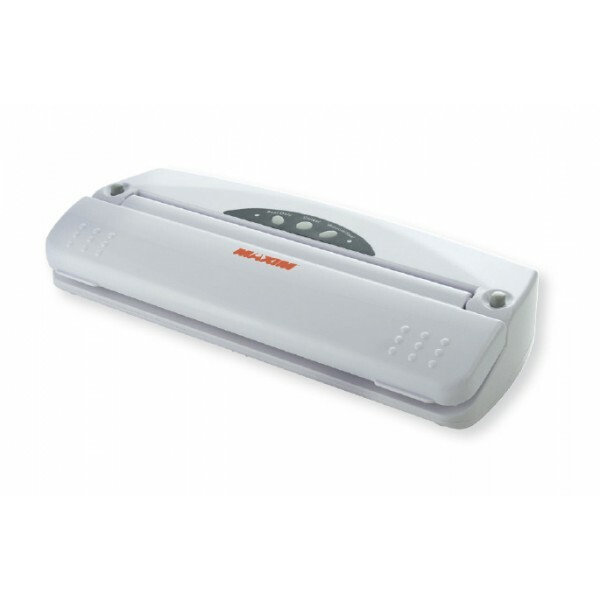 Heater Bar heats up and seals your vacuum seal bags. 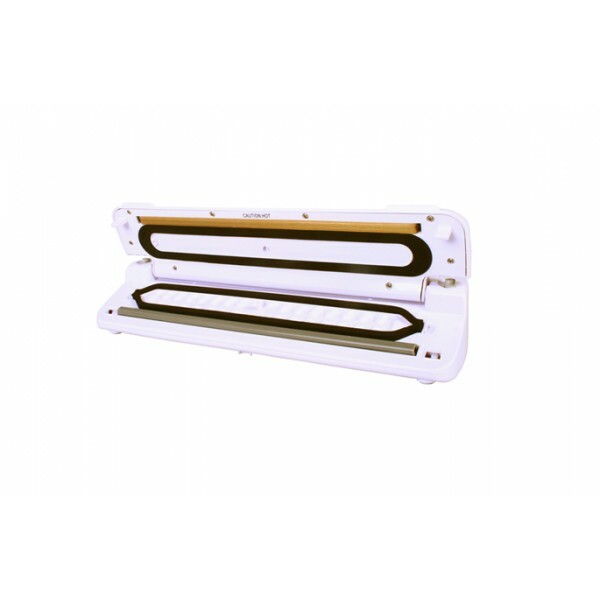 Vacuuming interface, remove for easy cleaning. Spare vacuum bags can be bought here.